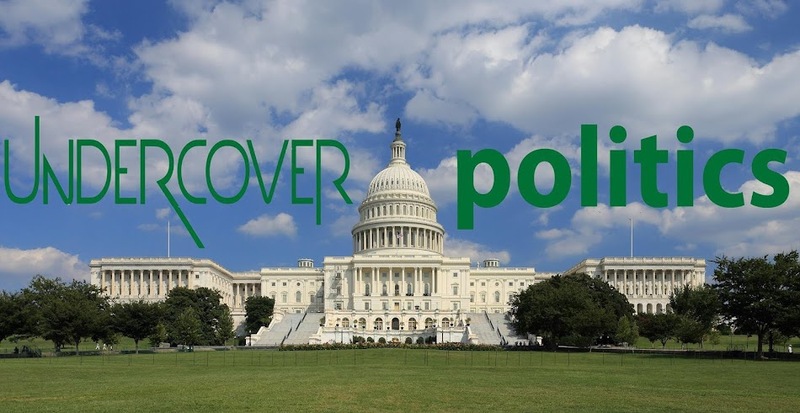 UnderCover Politics: After 16 years, my last day on eBay! Update! After 16 years, my last day on eBay! Update! 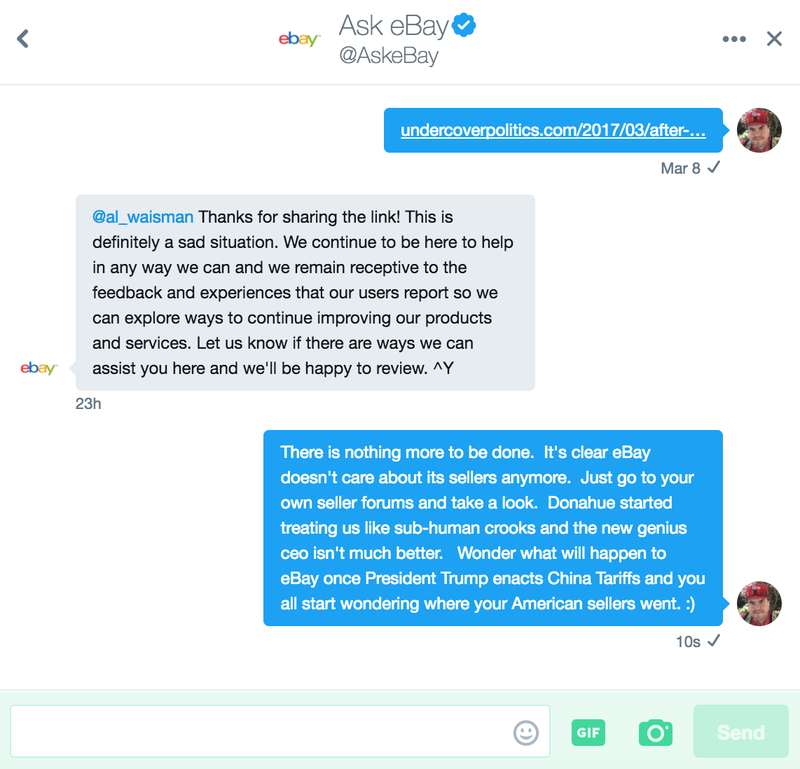 This is my my recent and final experience with eBay customer service, which encompasses everything that's wrong with the site. But first lets shed a bit of perspective by stating a few facts. I’ve been selling on eBay for 16 years now, having achieved the top rated seller status along with over 28,300 positive feedbacks, which means, that I excel at customer service and offer good quality products with lighting fast shipping. Majority of which is free shipping. I back my transactions with a refund policy of at least 30 days, like eBay recommends of its top rated sellers, specially if you want the 20% final value fees which are being cut to 10% as of the Spring seller update of 2017. I’ve been there for the whole journey the golden years, when I would sell 95% of the products I would list, to today where days can pass without even one sale, bid or even inquiry. While at the same time eBay claims their sales are up in the category I sell in for the previous year. USPS raised the prices yet AGAIN although gasoline prices are down this time so they can't blame that. So in order to remain competitive I haven’t raised the shipping charges for a while and that means the added expense eats away from my measly profit margin. The buyer claimed the item she received was of a different color and print from the picture on the actual listing. I asked for a picture to verify the claim before having to pay for the return label, which she rudely denied to send me. I called ebay for help, to which you get an agent from a central call center overseas that only reads from a script and has no idea about eBay policies. But I was deferred to another department for someone “knowledgeable." 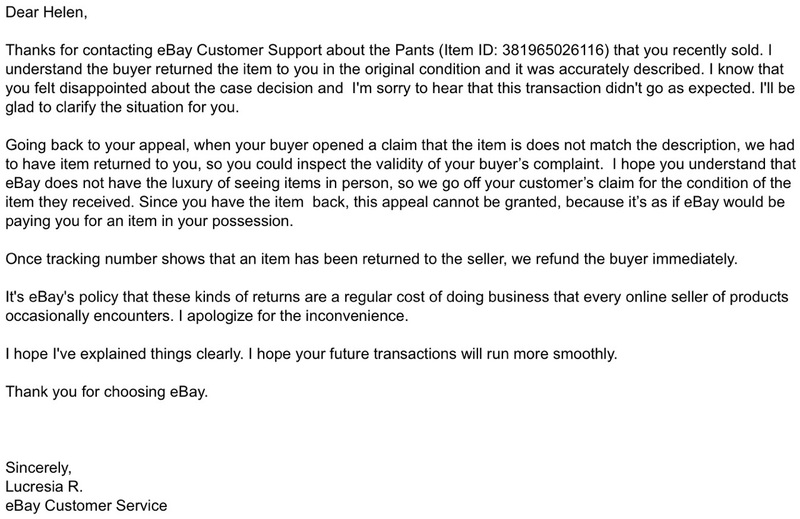 After a few calls later and a few messages to and from the buyer eBay tells me, "We back our sellers 100%, you have the right to ask for proof and if the buyer decides to escalate the case, eBay won’t allow that without the proof you requested." I kept asking the buyer for the proof and of course the person denied and escalated the case. She was issued a return label at my cost, after I was told by the eBay agent that it wasn’t going to happen. I called again, got another agent, and this time she says there is nothing that can be done, I need to wait for it to arrive, take pictures of the item and present an appeal, but for the time being there is no point to transfer me to the appeals department, so I waited. 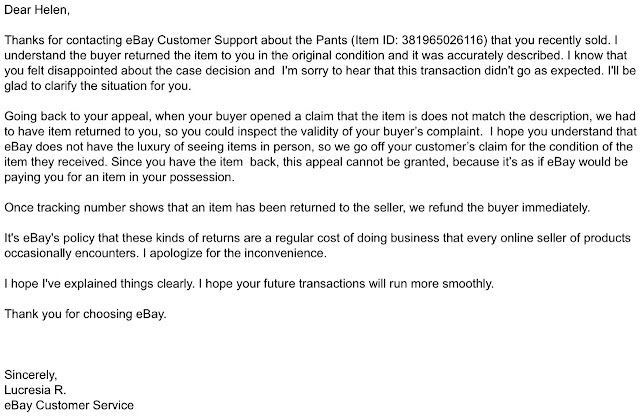 Today I received the item, they were the exact pants I had listed. I once again call eBay to get this taken care of, I spent 3 hours on hold, I’m not lying or exaggerating, it took me 4 times to get to the right department and I had to call 3 times because either I was transferred to Australia, or hung up on. In the end I got to the so called "appeals department" to ask how I can present the proof, to which I was told "There was no case to appeal because it was as clear as day, the buyer said the item was wrong and as an internet based company we have to act in good faith." Being a top rated seller of 16 years won’t give you credibility with eBay, it's your fault no matter what. If your sales are down, you have no clue how to sell on eBay, their sales are always up. The seller is incompetent and that's what they tell their shareholders when it's called to their attention. 16 years of experience means nothing. Agents who put food on their table receiving a cushy paycheck, who have never sold anything, know better than you. When you call, if the agent doesn't make a note about why you are calling, your claim doesn’t exist, makes sense right? So why are the agents going to make notes of anything, their behinds are on the line if they make mistakes. So all the “good advice” never happened, I lied, because I'm a 16 year seller on eBay and that's what we do. When dealing with a case you need to use key words, if you mention “buyer’s remorse” in a eBay message with your buyer, then you “may” have a case, since I didn’t want to accuse the person directly I didn’t use the key word, so to hell with me, AND pictures don’t prove anything, buyers can provide pictures if they feel like it but are "not required to." And most importantly, sellers can go to hell. Since eBay thinks so low of its own sellers, why are buyers going to think differently? I've spent the past day doing research on internet seller forums. From what I see this is today's eBay and they seem to be bleeding American sellers, which would explain why most sellers I get every time I want to buy something are based out of China, where they have a different set of rules than us American Peons and their products can take as long 60 days to arrive, which eBay is ok with but if the USPS takes one more day to deliver than estimated, our seller ratings take a hit. Goodbye eBay, it was fun while it lasted. Hello Poshmark, Amazon and Bonanza! 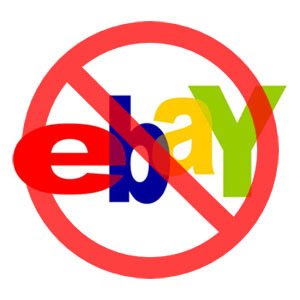 Today out of the blue, I received a very nice call from corporate where they made very clear there is nothing to be done for now but at least they are aware and working to remedy the issues plaguing eBay sellers.